For all the people who might have watched the TV show “BULL” last night you might be wondering about the differences between hypnosis and Brainwashing. An article was published by HubPages.com in their Health & alternative – natural medicine section in 2007 which explains this subject very well. Below is a brief excerpt from that article. People often shy away from any mention that they see a hypnotist because they think hypnosis is brainwashing. Far from it. Hypnosis and brainwashing are two different things, with differing techniques and results. Also, hypnosis (often called Hypnotherapy) is recognized as a legitimate form of medical treatment— Brainwashing is not. How did hypnosis and brainwashing become synonyms in the mind of popular culture? People have always been scared of not being in control of their own lives. When Dr. Anton Mesmer of Austria started giving public demonstrations of hypnotism in the late 1700’s, audiences were both intrigued and repulsed. This love-hate relationship with hypnosis demonstrations was not lost on author George du Mauriner. In 1849, his novel Trilby was published to great acclaim. In the novel was the character of Dr. Svengali, an evil hypnotist who controlled innocent young girls to obey his every whim. 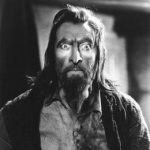 Dr. Svengali has shown up in many movies, portrayed most chillingly by John Barrymore. When Russia teetered on the brink of Revolution, one of the celebrities of the day was Rasputin’s “The Mad Monk” who was also a hypnotist. He would use hypnotism to help soothe the hemophiliac Prince and charm his was with the Imperial family. He was also a notorious women-chaser, drunk and religious fanatic. He was used as an example of how depraved and useless the Imperial family had become. Rasputin was the closest living Dr. Svengali that history has ever known. Anything having to do with Rasputin was condemned, including the arguably good effects of his hypnotism. What’s old is new again – hypnosis and brainwashing are starting to be perceived as the different things that they are. The field of hypnotism is a growing one, with hypnotism used to help ailments of the body, the mind and the spirit. All hypnosis is self-hypnosis, one must allow oneself to relax and allow the subconscious mind to find and change beliefs that no longer serve you. We at A+ Hypnosis Wellness Center believe you have all the answers inside you and we are just a guide to help YOU find the information stopping you from having a wonderful life but YOU have to decide what YOU want to change and what still works for you. Call today for a free consultation to see if hypnosis can help you.